Shrewsbury Sports web pages are provided as a free service for the people of Shrewsbury, Shropshire. 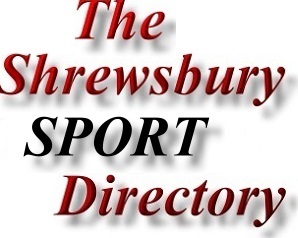 Our Shrewsbury Sports Web Pages will list all submitted - appropriate sports related Shrewsbury websites at no charge. All that we ask in return, is that Shrewsbury Teams, Shrewsbury Clubs, Shrewsbury Sports Associations & Shrewsbury Sports Leagues help to promote us by placing a link on their website back to us & mentioning us on their paperwork (fixtures sheets etc).